in recognition and appreciation of contributions to the students and staff of Portland Public Schools. 2014 HILLTOP (Heroes Inspiring Leadership, Learning, Teamwork, Opportunity and Pride) Award for outstanding service to low-income individuals and families living in Multnomah County. in recognition of significant accomplishments with limited resources. 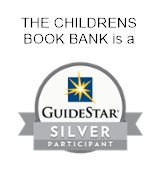 for significant contributions that have enriched Oregon’s young readers. for outstanding volunteer contributions to the community.